What is J2638 Testing and Why Does It Matter? PullRite has an earned reputation from nearly 40 years of designing and building towing products and for being the strongest in the industry. However, without a testing standard, it was anyone’s opinion as to whether it was strong enough, or even over-built. Having a testing standard helps us design and build products that will meet the needs of our customers, and in some cases, identify areas where we were over-building, so at times, it helped us reduce costs. At the end of the day, what we want to produce is a great product for you that meets your expectations for safety and reliability, and gives you a great value! With all that we’ve learned through the rigorous testing laid out by the SAE standard, as well as our own additional testing, we’re a more confident manufacturer and can reduce risk for hitch failure while still producing better products for you! So what is SAE? SAE International, initially established as the Society of Automotive Engineers, is a U.S. based, globally active professional association and standards developing organization for engineering professionals in various industries, but primarily automotive. Their goal is to solve common technical design problems and develop engineering standards that would help protect the consumer and manufacturer. Unfortunately, the SAE J2638 standard is, at this time for the towing community, voluntary. We have made a commitment to ourselves and our customers to deliver high quality, rigorously tested product according to these standards regardless. It’s likely that manufacturers who are investing significant time and money in conducting these tests as we have, will make their customers aware of the testing, and as you can see on the decal to the right, PullRite proudly displays it. Not only do we conduct our own tests, but we go the extra mile and exceed those standards! 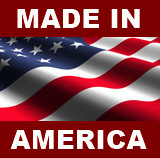 We believe it adds to the credibility of both the product and the company when we are pro-active in this manner. On the flip side, it's important for you, the customer, to notice that manufacturers who don’t talk about the J2638 testing are either not testing, or aren’t testing to the degree that the standard defines, and it’s now up to you to question whether that is important or not. The test consists of dynamic and static loads placed on the hitch in tension and compression vertically, horizontally (sideways) and longitudinally (front-to-back). Manufacturers who are taking shortcuts and not performing the comprehensive testing laid out in the SAE standard simply don’t know how their products will stand up under those loads, over those cycle times. The SAE dynamic testing requires 300,000 cycles in three different directions, 900,000 cycles total, with weight in excess of what you’re going to rate the hitch at. That’s a lot different than welding up a hitch, pulling a trailer down the road a couple miles to test it, and then putting those hitches in a box and telling a customer it’s good to go! We test our mounting kits, base rails, and hitches. Knowing that the complete chain is only as strong as the weakest link, we believe it’s important to test all the components of a towing system. It doesn’t make much sense to mount a 26K rated hitch onto 16K rated base rails, so we want to have confidence in the ratings we assign to every component. 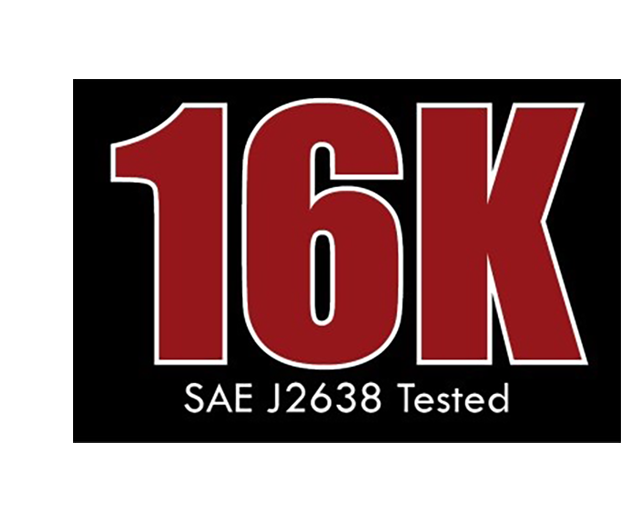 The more knowledgeable our customers are, or an installer, the more likely it is that you will understand the added value to products that are tested and rated using a recognized standard like the SAE J2638. Without that standard, manufacturers can rate their products to any number they choose – but what does that number really mean if it’s not tested to a recognized standard? As more consumers and installers become aware of the difference between products that are tested to a recognized standard and those that are not, the more value we think they’ll see in credible companies like PullRite and the products we produce. The hitch really is THE critical link between the truck and trailer. Trucks and trailers are getting more and more expensive; we believe that knowledgeable buyers will choose tested products over those that aren’t to protect their investment, and keep them safe while enjoying the RVing experience!